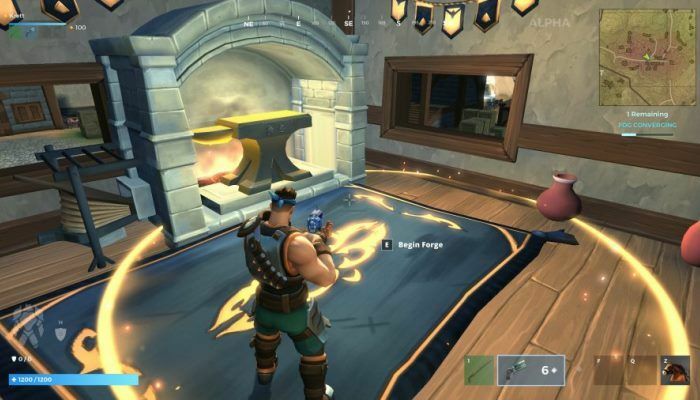 Realm Royale: Tips, tricks and strategy advice for beginners. Get to grips with Realm Royale with our handy collection of tips and tricks. Our Realm Royale Tips and Tricks guide contains a wealth of strategy advice to help you improve and win more games. Let's be honest, the Battle Royale genre doesn’t really need an in-depth introduction at this point and you all know the drill by now. First you're dropped onto a map with many other players and then it’s up to you to survive and emerge as the last person - or team - standing. Hi-Rez’s latest offering takes this familiar formula but adds its own class-based twist, not to mention horses and chickens too. Realm Royale introduces classes, skills, disenchanting, mounts and all sorts of armour and weapons to the formula. Overall it feels like a blend between an MMO, a MOBA and a Battle Royale game with its skill-based fights that don’t just rely on who’s got the most accurate rifle. All these new elements also mean that there’s a lot to this game that you won’t be familiar with from playing other titles like PUBG and Fortnite. How does the Forge work? 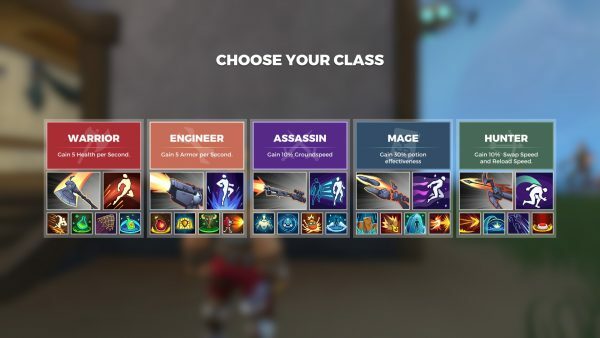 What class should I pick? Below we’ll do our best to answer all of these questions and provide strategy advice that’ll get you up and running in Realm Royale in no time. There are five classes to choose from: Warrior, Engineer, Assassin, Mage and Hunter. They all have a number of different abilities, cater for a variety of playstyles and will each have specific strengths and weaknesses. As you can imagine, the Warriors are built for close-range combat, Engineers can deploy turrets and barricades, Assassins thrive on stealth, Mages hit hard with devastating spells and Hunters operate from afar with dodge rolls and traps aplenty. Each class also has its own passive ability which provides some added bonuses right from the get-go. It’s all about identifying which class suits your playstyle and what sort of role you’d like to play. This is also very important when you’re playing with a friend as certain classes can compliment each other nicely. Press [Z] and you’ll summon a horse which is perfect for either a quick getaway or a hasty aggressive maneuver. Do remember though that when you’re on horseback you’ll be easy to spot and more vulnerable to nearby enemies. If you are zapped while mounted, you will be dismounted so if your plan is to run away, get on with it nice and quickly and don't give the enemy a chance to catch up with you. You can open up the map in-game by simply hitting the Tab key on PC. If you're wondering what those little yellow anvil icons are by the way, these are Forges. It's here that you can spend the Shards you've gathered by disenchanting items in order to gain new equipment. See further below for more details on both Shards and Forges. 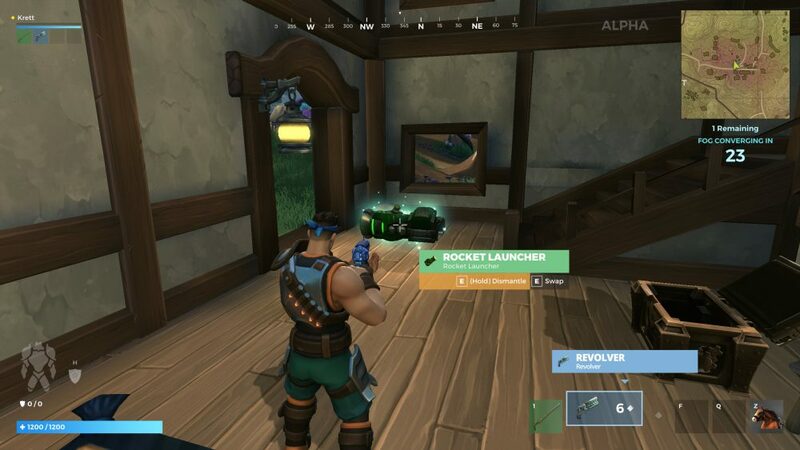 Realm Royale’s home to a unique feature that allows you to disenchant any loot you stumble across that doesn’t take your fancy. Disenchanting loot transforms it into Shards which you can use for crafting at the Forge (which we’ll explain below). The rarer the loot, the more Shards you’ll earn. So with this in mind, you’ll want to disenchant absolutely everything you don’t need - just make sure it won't help your team first! The Shards you earn from disenchanting items can be spent at the Forge. The more Shards you throw in, the more gear you’ll get out of it. Bear in mind that the Forge doesn’t instantly spew out your items and the valuable items can take up to a whole minute to create. With this in mind, you’ll need to watch the circle before deciding to craft anything as you don’t want to be taking damage for free. What’s more, make sure the area's clear before going ahead and depositing your Shards - you don’t want to get backstabbed while waiting for that Legendary Armour piece to pop out. The Forge gives off smoke when it's in use, alerting nearby players. When it comes to the forging strategy, the general wisdom of the crowd suggests that you should prioritise gaining your Legendary Weapon before any other items. Yes it's the most expensive item to craft but it's also the most impactful and you'll be picking up armour and other equipment as you play the game anyway. As soon as you land, you’ll want to scour the map for loot chests. Crack them open, equip gear and this way you’ll be able to get on the offensive or defend yourself. The rounder, taller chests contain weapons and abilities, while the shorter rectangular chests only hold potions. We’d recommend making a beeline for the former as getting hold of weapons will give you a much stronger advantage in the early game. Your first priority is going to be to get your hands on a better weapon than the dagger you start out with. Don't panic if you don't find something better though, as your dagger actually does around 400 damage and is more than capable of finishing off an equally under-geared opponent.